What The Fish!? 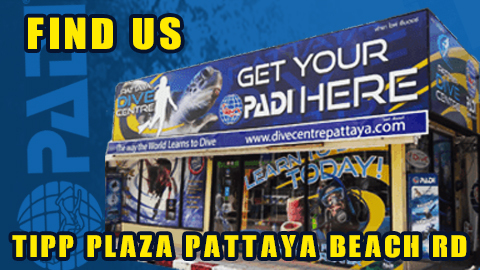 Find out about what Pattaya Sea Life you can see when you go Snorkeling in Pattaya right here! 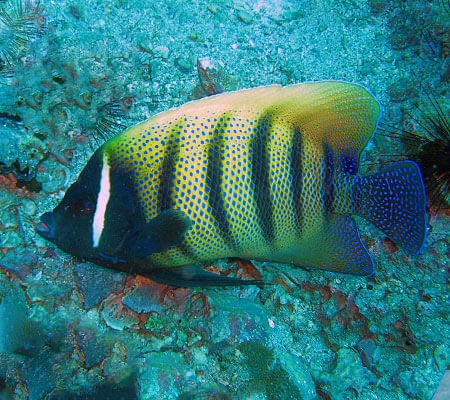 The tropical reefs of Thailand are full of beautiful and colourful fish to see. When you are snorkelling, you get the best look because you are close to the surface, the colours are the strongest. Did you know that water absorbs light and therefore absorbs the colour too! This is one of the disadvantage od scuba diving as the deeper you go, the less color you see. not the case with snorkeling though! The Dusky Damsel Fish, a everyday part of Pattaya’s Sea Life. found on nearly every reef in the Pattaya Area. These fish can be territorial so dont be surprised if they fish right up to you and maybe give you a nibble! Dont worry though, they are harmless. 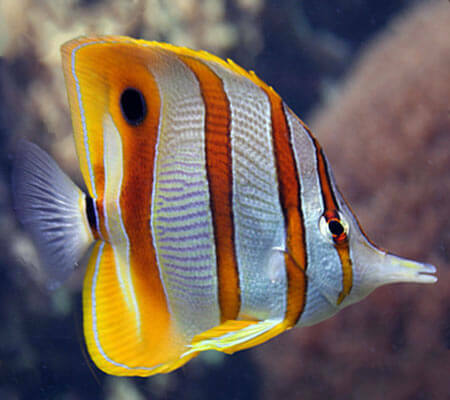 The Copperband Butterflyfish has yellow orange vertical bands with a black edging. 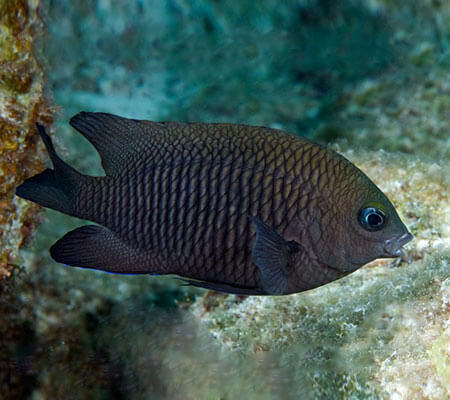 It has a false eyespot on the rear of the dorsal fin. This very docile fish cruises the reefs here each day and can be seen in schools swimming together loving life! Recognisable yellow body with black vertical stripes, usually 6 of them, hence 6 band. 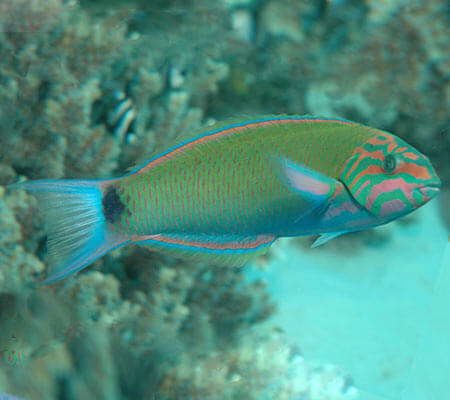 This is a larger reef fish that can be seen here, it is an omnivore meaning it likes eating sponges, corals and algae, also known to eat other fishes’ eggs. 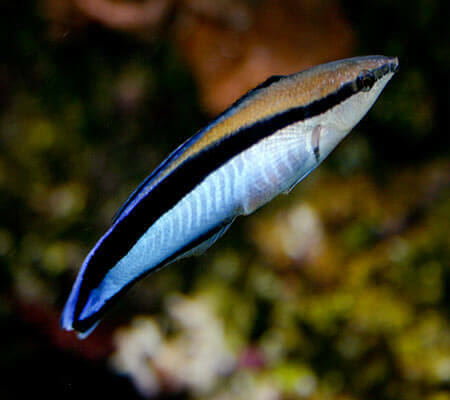 Cleaner Wrasse can be found around all coral reefs in Pattaya. These tiny fish are great to watch as they swim around the larger fish eating and cleaning whatever they can. They sometime mistake snorkelers for fish and may try to “clean” you too! A stunning addition of colour to the Pattaya reefs, Moon wrasses are active fish, said to be moving all day long. They are also territorial, nipping, chasing, and otherwise harassing fish that get in their way. Watch the show! 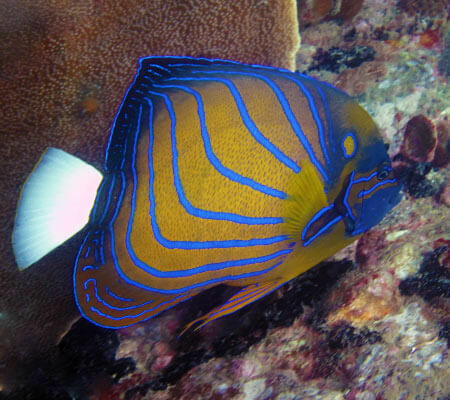 Recognizable yellow body with electric blue stripes, this is a larger reef fish and they are stunning to see. They are very timid as they swim eating sponges, corals and algae. So Lay still and have your camera ready as it swims by. 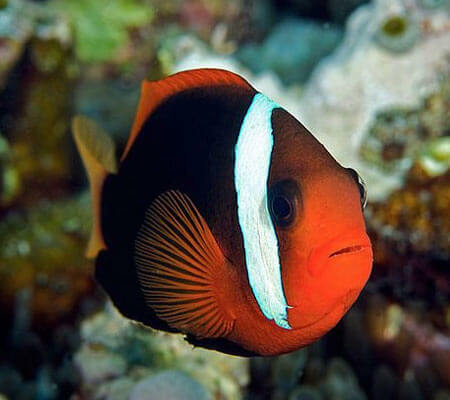 Cinnamon Clownfish, or Red & Black Anemone Fish as they are also known, can be found around certain sites living in the anemones. Defender to the anenome, they are territorial and will often swim back and forth to warn you away from their home. Bat Fish are some of the friendliest members of the Pattaya Sea life. Sometimes alone but often in schools, these fish are not shy. 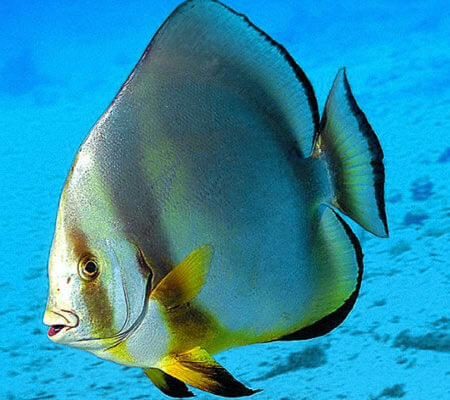 They are very curious and love to swim with snorkelers and play around. Just be respectful and they will stay with you. 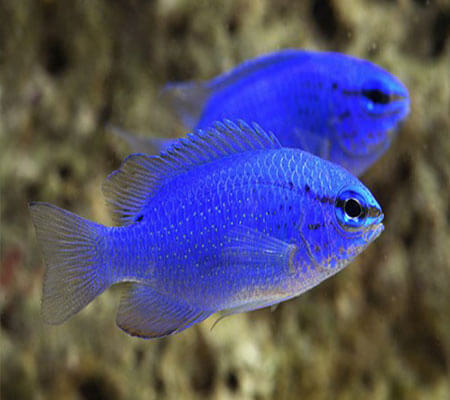 Electric Blue Damsel Fish are one of the most eye catching reef fish that the Pattaya Sea Life has to offer. They may be tiny, but its always striking when you see them darting in and out of the corals as a school like Electric Blue lightening!